It’s always amazing to me how many beautiful Minnesota marvels just seem to fly completely under the radar. 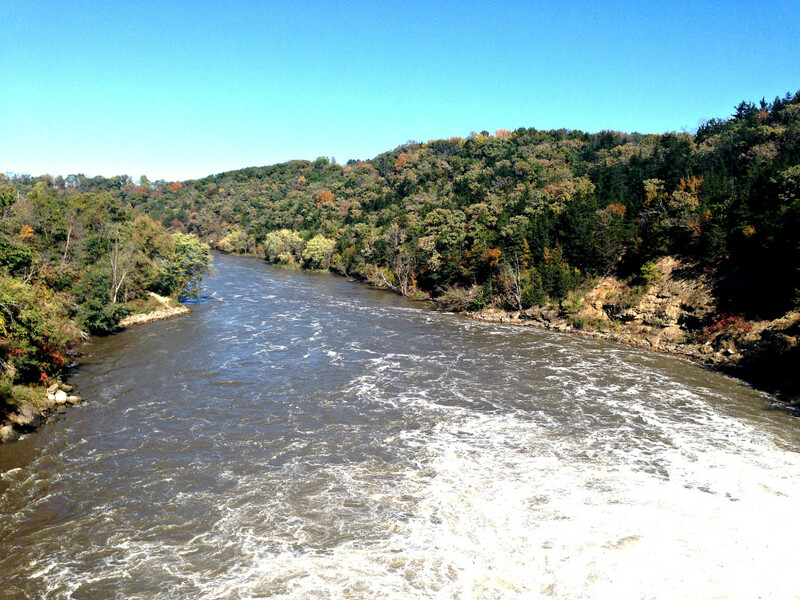 Take the Rapidan Dam just south of Mankato, for example. Spanning 475 feet across the Blue Earth River, the dam is one of Minnesota’s oldest, largest, and most impressive. But most people outside of the Mankato area have never even heard of it. The historic Rapidan Dam was built in 1908-1910 on the site of a former sawmill. The dam features two turbines that produce electricity that powers over 3,000 homes, and visitors can walk or bike right on top of the dam and watch the water thunder down into the river below. The view downstream is lined with rocky bluffs. 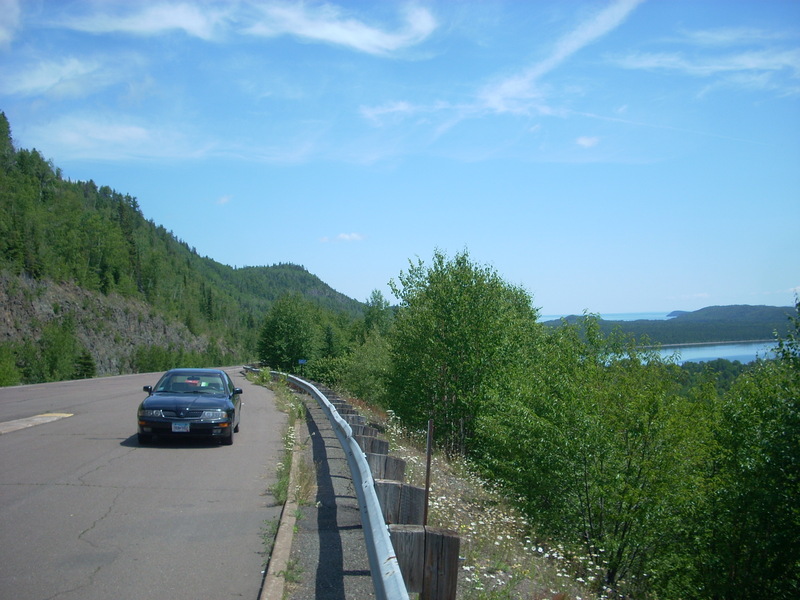 There are hiking trails on each side of the dam which offer different views of the massive structure. But what makes this dam a truly one-of-a-kind experience is what accompanies it on the west bank. 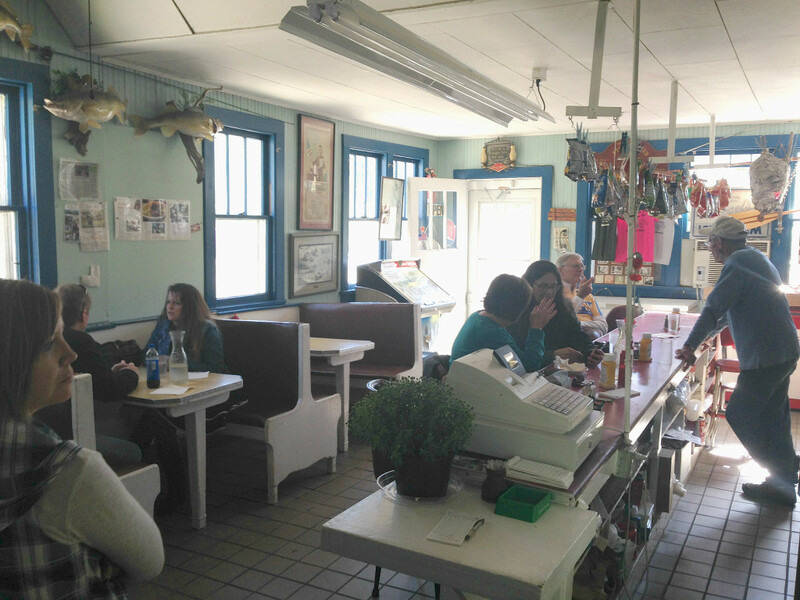 It’s the Rapidan Dam Store, a tiny old-school diner/camp store/bait shop straight out of the 1950’s. The Store was actually moved onto the present location from shortly after the dam’s completion and has changed very little over the years. 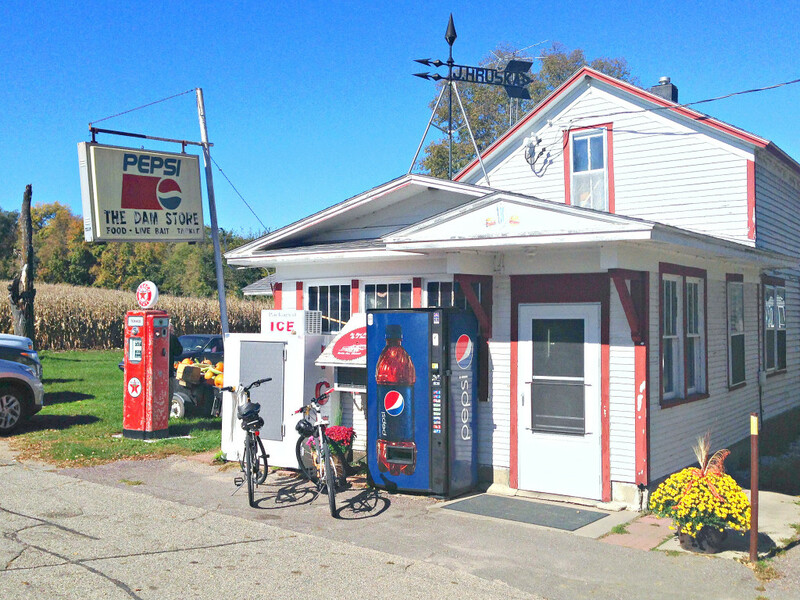 You enter the little white clapboard building with its vintage Pepsi sign out front and see things like an antique jukebox, a diner-style lunch counter, and even a payphone. The diner serves up classic fare like cheeseburgers and homemade pie, and is adorned with kitschy dam-humor, like the dam burger or a dam shake. The Dam Store is surrounded by a lush, green park with horseshoe pits and picnic tables, campgrounds, and a paved bike path. 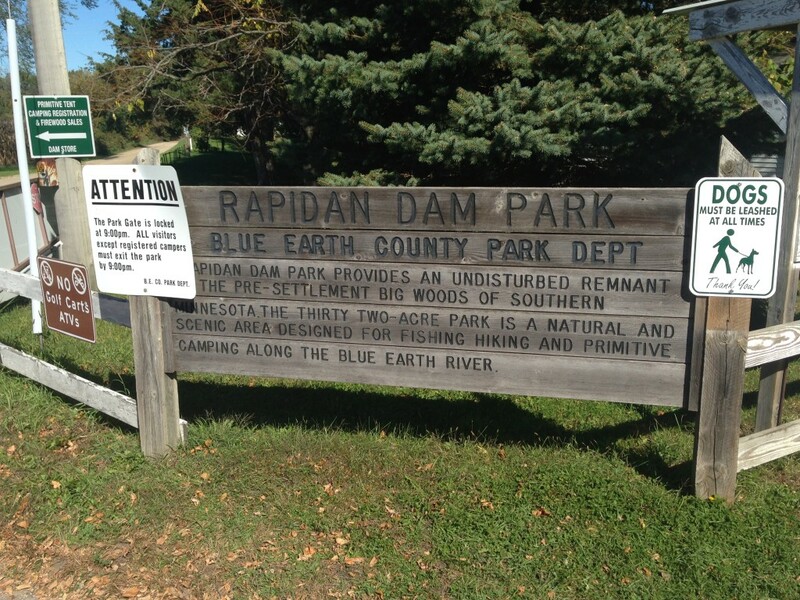 Visitors can stay at a campground onsite and fish the Blue Earth River downstream of the dam. 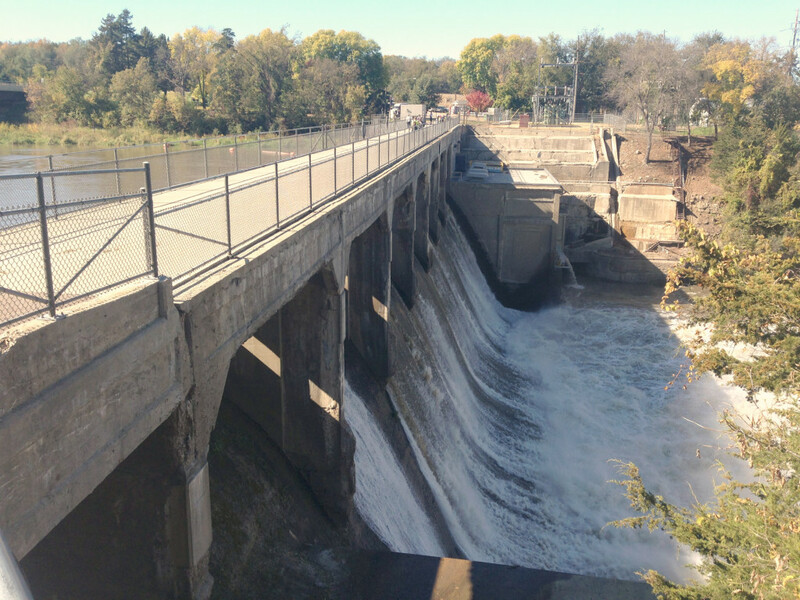 Like many of our favorite places to visit in Minnesota, the Rapidan Dam gives us that often-sought-after nostalgic feeling that can’t be replaced just anywhere. Their pie is also highly recommended. While in the area: Mankato is a great city for a weekend getaway or a day-trip from Minneapolis. Check out the Mankato Brewing Company brewery, hike around the waterfalls at Minneopa State Park, or explore the historically significant Reconciliation Park downtown.